Nokia has always promised it would one day pair its PureView camera technology with Windows Phone, and although the Lumia 920 incorporated a degree of PureView magic in its camera, the Finnish firm is rumored to be working on something even better. According to The Verge, a device with the codename EOS will be the first true PureView phone to run Windows Phone 8. To qualify as a “true” PureView phone, the anonymous source has said it’ll use a similar sensor to the 41-megapixel 808 PureView phone released during Mobile World Congress last year. 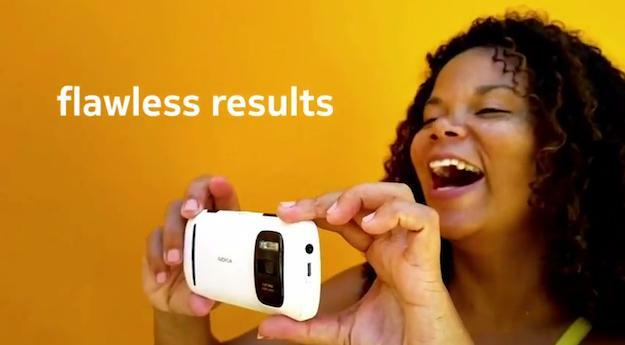 Nokia isn’t afraid of making a bulky phone, but the lens in the 808 PureView made it something of a monster. That’s all very well on a niche Symbian phone, but it could be a risk on a mainstream Windows Phone 8 handset. The phone will probably sit near the top of Nokia’s new range of Windows Phones, and like the rumored Catwalk – Nokia’s possible Lumia 920 replacement – it’ll have an aluminum chassis instead of one made from polycarbonate. AT&T is said to be one of the networks which will stock the Nokia EOS later this year. This is slightly at odds with this new rumor, so while the 808 PureView’s camera was mentioned, expectations of another 41-megapixel camera should be kept in check. That’s not to say the tech incorporated into the Nokia EOS will be any less impressive though.